You've seen these everywhere... Facebook, Pinterest, and many other places. Fake texts! Why not use them in the classroom? 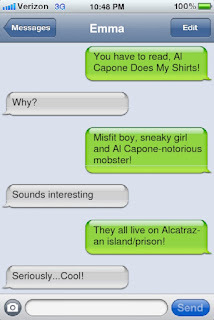 Have students create a text . . .
Go to I Fake Text to have your students create their own screen shot. Thanks to Dr. Roland Rios over at Rios Cyber Cafte. This is a great tool to use with 5th graders. It will pull their attention straight in to the subject or question. I must try this! I think so too! I just used it in a conference session I'm attending. I put it in a Glogster page. I absolutely LOVE this idea. I just blogged about it on my page and gave you a shout out. I love your site and am your newest follower! 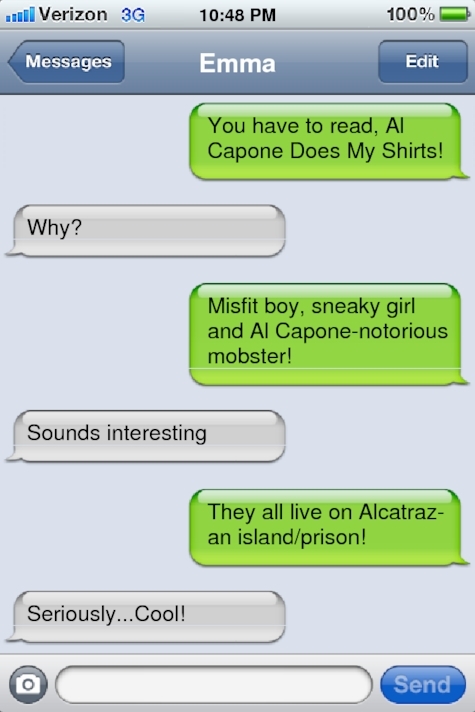 I can't wait to see what other ideas teachers will have with Fake Texts. I'm all about the fun Web 2.0, but love to see the creative ways teachers use them. Love your blog. Some great ideas. I'm really checking out the blog pet peeves! Learning curve...big time! How fun! I would totally use this as a conversation between characters in a book. What a great way to allow kids to do what they do anyway!!! I found your blog through Mimi's blog post about this! Thanks for stopping by my blog. I'm heading over to yours! I love this site. I learned about it at a workshop in June. There are so many ways that it could be used in the classroom. It is definitely on my list of web tools to use this school year. Thanks for sharing. I enjoyed your site. I'm your newest follower. I think it would really hook some of my hesitant writers! I noticed you are from NC. My family and I just got back from NC. We were visiting family. Our first visit. LOVE it! Beautiful parks! What an awesome tool! I'm going to try to use this in my math class. Any ideas? I'm also your newest follower! Thanks for sharing! Thanks for joining! I joined yours. I love your owls! Super cute! What about different types of graphs talking to each other? Mean, mode, range, and median. Something about, "What do you mean, find the average?" Order of Operations...start a conversation with...You are going to have to please excuse my dear Aunt Sally. What an awesome idea! I am your newest follower! Thanks! It's still on my list to do with my new class. Love your site. I like the spelling choices. I do something similar, but I use Google Docs for my students to post their entries.